These fiberglass tanks are exact replicas of the 1974 through '76 CR250 Elsinore tank. 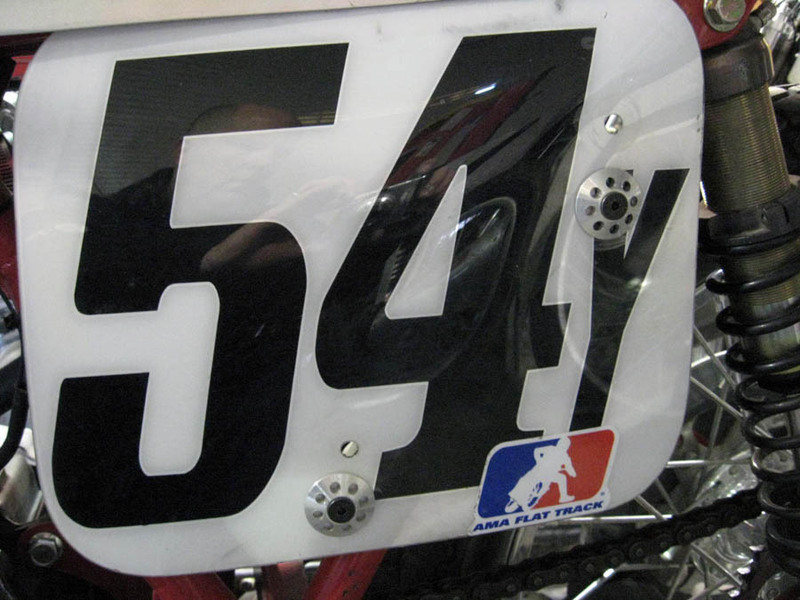 This tank is the perfect fuel cell for the Lazer Racing XL250/350 racing frame. 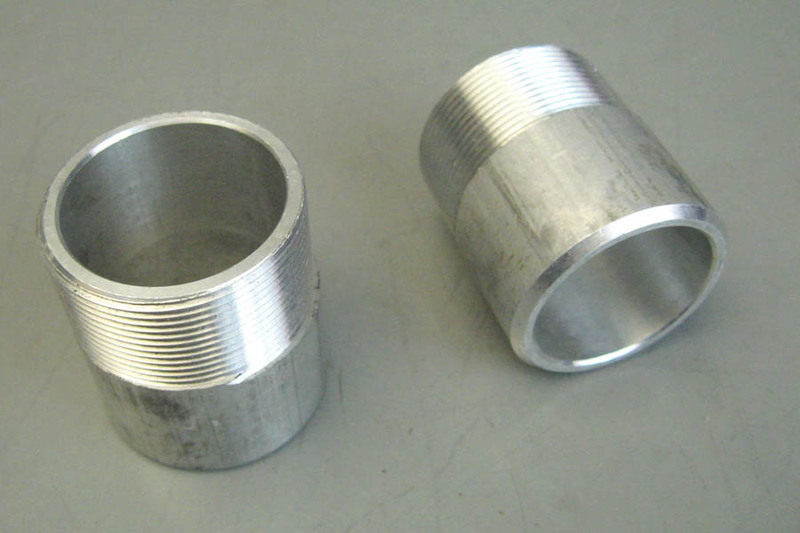 The mounting flanges are undrilled. The tank features one 1/8-27 NPT fuel bung to accommodate a left side fuel tap. Includes CNC machined fuel cap. If you've priced any new or used OEM alloy fuel tanks lately you'll appreciate the value of these fiberglass replicas. Note: Fiberglass fuel tanks are for racing use only and are not certified for on-road motorcycles. 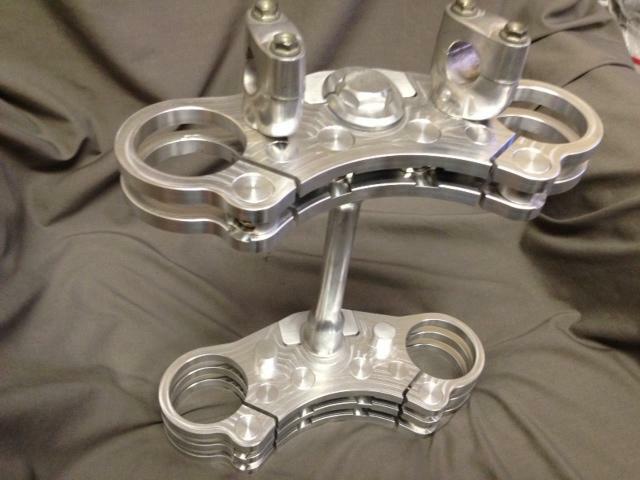 Tired of your stock exhaust spigots loosening from the head and hiding out inside the head pipes? Lazer Racing have the simple solution; oversize threaded spigots. Machined from high grade aluminum tubing these exhaust spigots are available in increments of 0.005 inch, from standard size to whatever you may need. Call us for a "fit kit" that includes complete instructions on how size your worn out exhaust ports for replacement spigots. CNC machined from billet, these stylish mounts will keep your expensive number plates from cracking and located and where they belong. Plate mounts are sold as a weld-on kit that includes the ventilated washer, weld-on nut/bracket, and countersunk 1/4-28 machine screw. 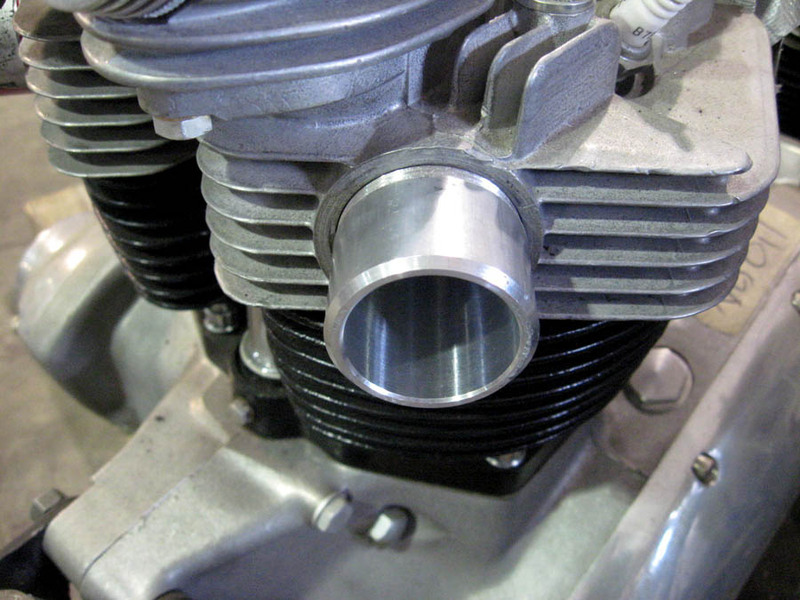 If you already have mounting bosses installed, give us a call with your thread specs and we'll fix you up with the correct mounting hardware. 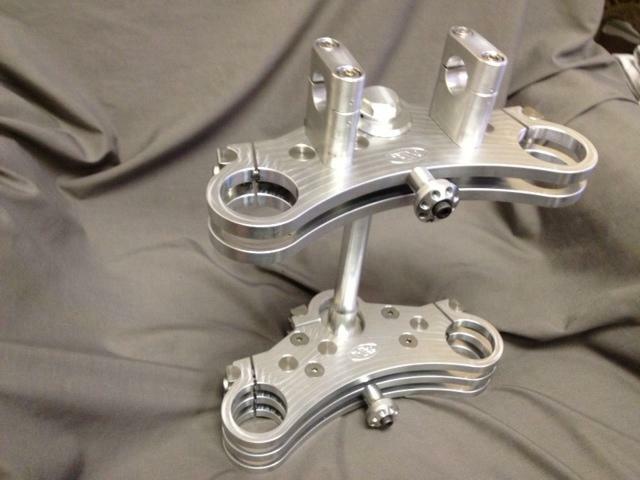 These sturdy exhaust brackets are laser cut from .125 inch chrome-moly sheet. The precision slotted mounting hole accepts a 5/16 inch or 8 mm bolt. The tall mount (left) is 1.450 inches tall. The short mount (right) is 1.080 inches tall.